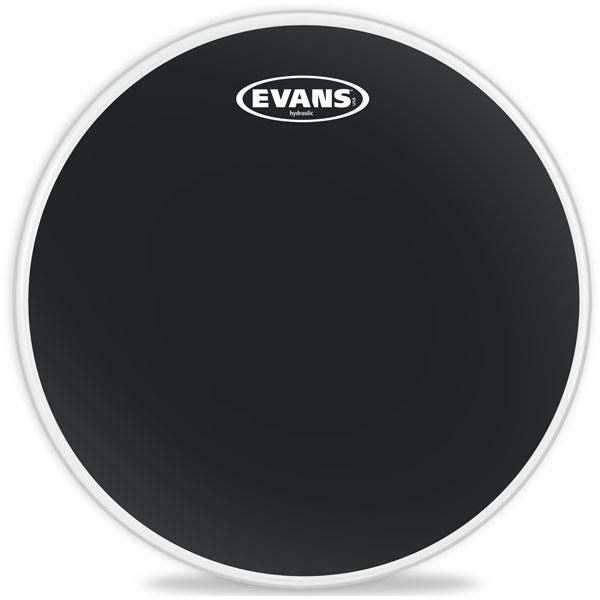 Evans black Hydraulic two-ply drum head features a thin film of oil between the plies that suppresses unwanted overtones. A classic sound, short in sustain. Tension it tight for a real thump or loose for a more slappy sound.